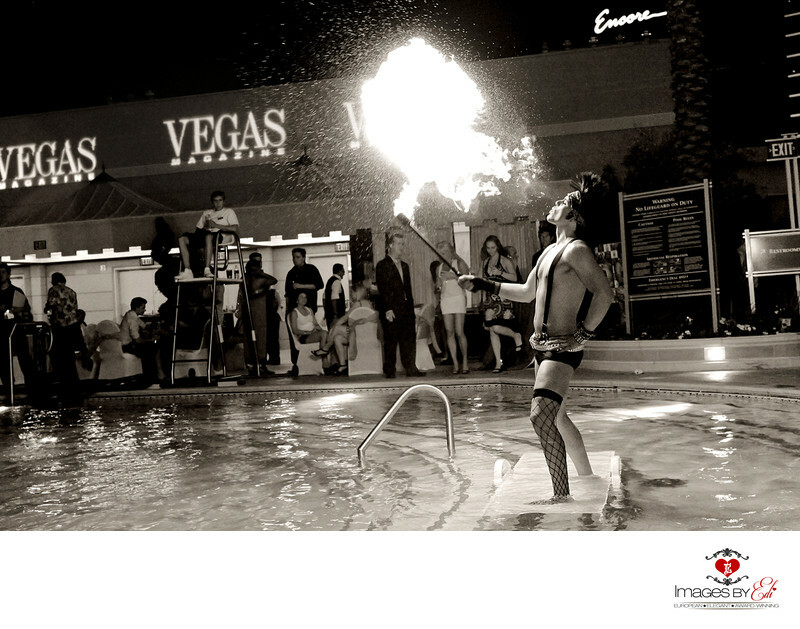 Fire eater entertainment, provided by Fantasy Entertainment Production's. http://www.fepinfo.com/ for the event at The Venetian and Palazzo, five diamond luxury hotels. The event was held outdoors, by the pool. The property is connected to 2.25 million square feet the Sands Expo & Convention Center, which host to many large conventions and meetings.